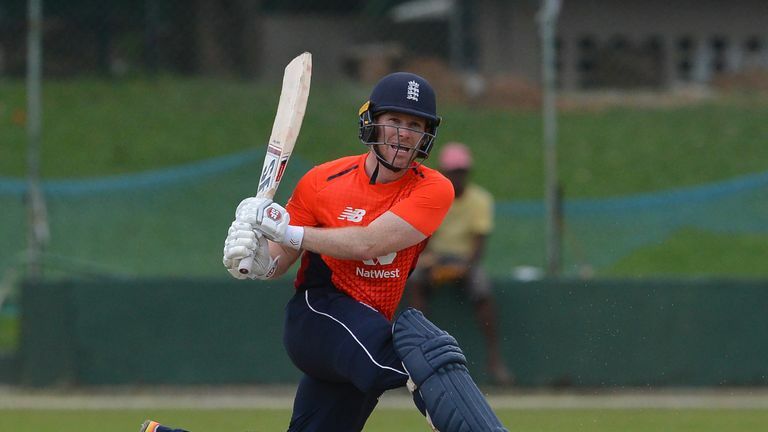 Eoin Morgan is looking for England to adapt on slow, spin-friendly pitches during the ODI series in Sri Lanka. 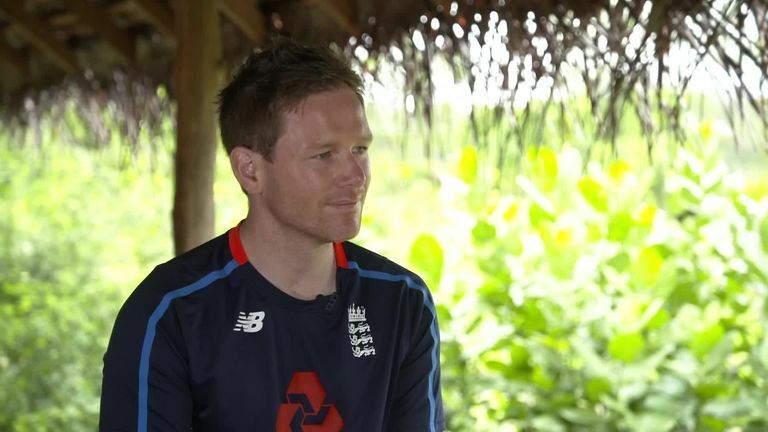 England ODI skipper Eoin Morgan says he would be prepared to drop himself at the World Cup if it gave his side a better chance of winning the title. England, who have risen to No 1 in the ICC ODI rankings under Morgan's captaincy, will be looking to land their maiden global 50-over trophy on home soil next summer. The 32-year-old, speaking exclusively to Sky Sports Cricket ahead of the five-match series in Sri Lanka, which starts in Dambulla on Wednesday, insisted he would have no qualms in axing himself if he was out of form. "It is a brave call but we have come a long way with this team and we need to put ourselves in the best position in order to be contenders," said Morgan, whose side are on a run of eight bilateral ODI series victories on the bounce. "I've dropped myself in the past to create opportunities for guys and see if they can play at international level or given them an extra chance to prove themselves. When you drop yourself as a captain it sets the tone and example of 'nobody's place is cemented'. Morgan would be prepared to drop himself at the World Cup if it gave England a better chance of winning the title. England were humbled 5-2 in their previous ODI series in Sri Lanka in 2014, a result that led to Alastair Cook being sacked as captain and Morgan promoted in his place. Morgan's men endured a dire 2015 World Cup campaign but have flourished since, breaking the world record for the highest ODI total on two occasions, scoring 444 against Pakistan at Trent Bridge in 2016 and then 481 against Australia at the same venue this June. Morgan explains why T10 cricket would be perfect for the Olympic Games – and what innovations he foresees in cricket going forward. But the skipper knows Sri Lanka's spin-friendly pitches will be harder to score on and is looking forward to seeing his team adapt. "It's a new tour, different conditions and the challenge for us, like any other winter tour, is applying our own mentality and positive, aggressive style of play," said Morgan. "Last year we learnt a huge amount and grew a huge amount, particularly in our bowling department - we though the pitches would be a batsman's paradise in Australia and New Zealand but they weren't and a lot of times bowlers won us games. "Sri Lanka could be very similar and present different challenges, particularly for our batsmen up against two wrist spinners. They will be good healthy conditions for us to come up with answers to. "Hopefully this will make us a more rounded team and whatever the conditions at home next summer, we will be able to process it, adapt and make good decisions. We will continue to challenge ourselves, never mind the opposition. "Right now I think we are in a good spot. There is still a lot of cricket to be played [before the World Cup] and hopefully the guts of our work will be done this winter." To look at where we are at and where we were touring Sri Lanka last time is a stark contrast. I know which team I’d rather be playing for! Our foundations still remain the basics of the game – you need to do the basics before you elaborate and expand your game. The guys work extremely hard to earn the right to take the positive option. England showed frailties against slow bowling at home this summer, with India's left-arm wrist-spinner Kuldeep Yadav bagging 6-25 in an ODI in Nottingham, having picked up a five-wicket haul in a T20 international at Old Trafford a week earlier. However, the hosts soon got to grips with Kuldeep's mystery, coming from behind to win the ODI series 2-1, and Morgan feels his charges now have a "reference point" if they face Sri Lanka's left-arm spinner Lakshan Sandakan this month. "We had never come up against a very good chinaman bowler playing our brand of cricket so having come through that we've gained a lot of confidence from that, we've almost ticked another box," said Morgan, who admitted England may play thee spinners of their own against Sri Lanka, with Liam Dawson possibly supporting Adil Rashid and Moeen Ali. There is potentially one spot you could play around with if there was an X-factor player but when you get to the World Cup and are looking for a guy to make a good decision under pressure, you want your most experienced player. "We have a reference point now so if we come up against it in the World Cup or on this tour we know how we played, how calm we stayed, how we applied ourselves and how we still applied it to how we play the game. PODCAST: Can England adapt in SL? "It's nice in a way - if we hadn't have faced it until the World Cup it would have come as a big surprise." Watch the first ODI between Sri Lanka and England live on Sky Sports Cricket and Sky Sports Main Event from 9.30am on Wednesday.